My six-year-old son is in the first grade. His homework includes a lot of addition these days. I have talked to him about multiplication. However, I really look forward to when the “light turns on” for him and he grasps the power of multiplication versus addition. I think he’s going to love it. In many ways, I feel the lights have recently “come on” for Compassion and several of our partners in how we can innovate and build connections in church planting and child discipleship. And…we love what we see! 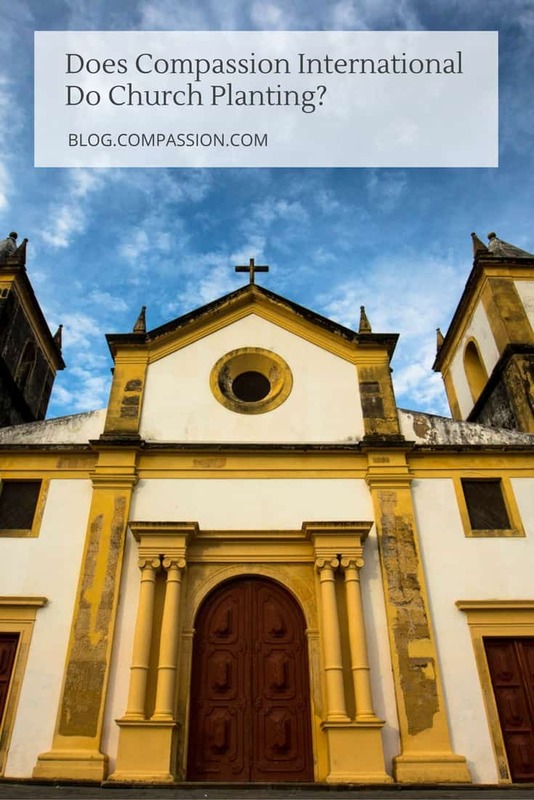 So, what does Compassion have to do with church planting? Well, there is a common challenge in many countries where we work. We know where children are living in extreme poverty. We also know that 85% of people who follow Jesus Christ choose to do so between ages of 4-14. However, there are often no local Christ-centered churches in their communities — or no church that intentionally disciples children. Since we unashamedly only work with the local church in our model, we can’t help care for those children without the presence of a church partner. Or, can we? 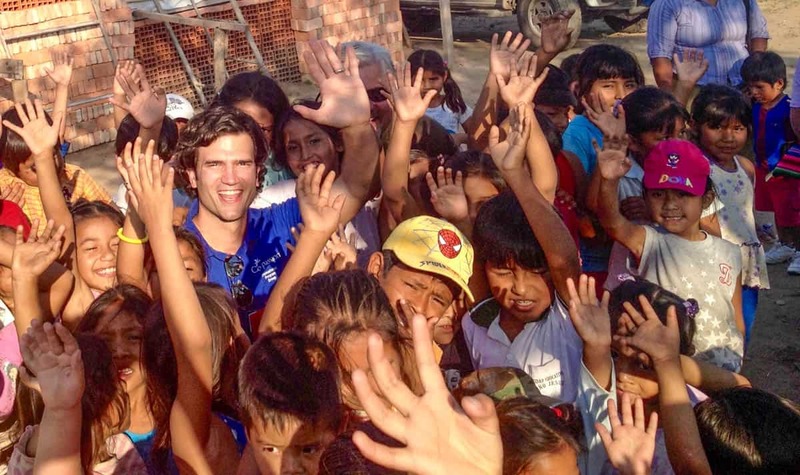 In 2010, Compassion Ecuador and Stadia – one of our Strategic Partners – imagined a way we could change that. And it seems to be working well. After identifying some challenges and opportunities, we started with a trusted local church partner in coastal Ecuador to help them plant four churches in areas of extreme poverty. These communities were crippled by alcoholism and neglected. Some did not even have dirt road access until the year the church was built. These initial plants each served 200 children and 40 mothers and babies through partnership and our holistic child development program. The churches covered their villages in prayers and did practical child outreach even before the day their doors opened to the community. This unique approach has been multiplied to over 60 church plants in Ecuador to date. Beyond Ecuador, around 50 other local church partners have multiplied in Bolivia, Brazil, Colombia, Peru, and Mexico to expand their reach to children and communities. Compassion Bolivia staff and local church leadership met on the outskirts of Cochabamba in September 2013 envisioning what could be. A full church and Child Development Center is now established at this very location serving children and the community. Our staff in Latin America know our local church partners well. The staff also understands where there is synergy with existing partners and denominations that have groomed local leaders with a commitment to planting and children. Because of this, our country leadership is able to identify existing “mother” church partners and potential “daughter” church planting partners. All stakeholders confirm if there is a common vision and if this approach would help. If so, they agree to mutual goals. The local mother and potential daughter churches mobilize their own resources to secure land and available supplies for the future plant and Child Development Center. Initial ground breaking at Iglesia Evangelica Bautista Maranatha (PE330) in Piura, Peru. Locally contracted laborers and church volunteers help complete the buildings that will have a multi-purpose sanctuary, classrooms, kitchen and restrooms. But it’s a combination of local and donated resources that help make the plant possible. 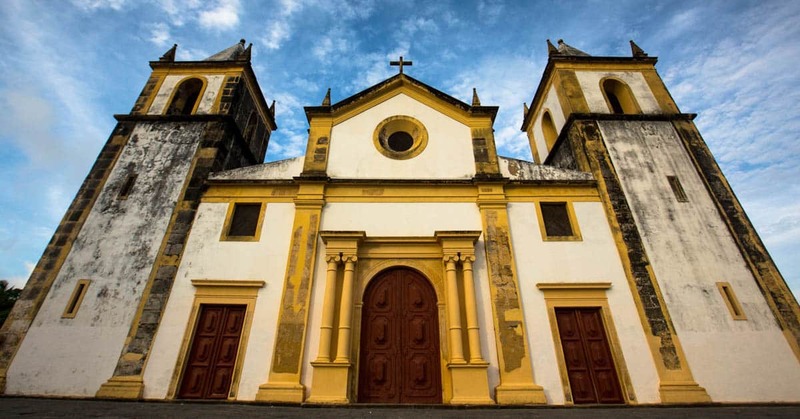 We, along with strategic partners, tell the story and seek out donors to help contribute to the church infrastructure and construction of the buildings. 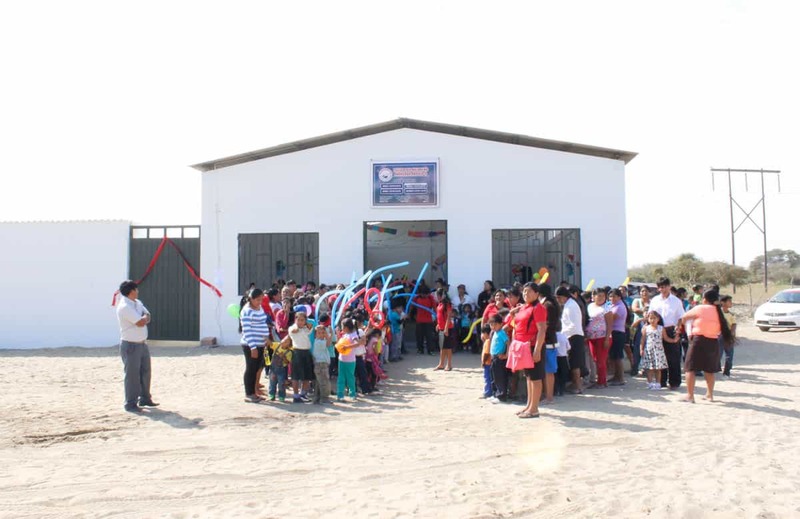 Iglesia Evangelica Bautista Maranatha (PE330) in Piura, Peru construction completed. The new church is governed by local leadership or its national denomination because they are best equipped to address the cultural dynamics and realities of their communities. Most local churches start by reaching around 200 children. Those children are usually all sponsored by attendees at the US church that provided resources for the church plant construction. This creates a powerful connection for these sponsors, children, and churches! Years ago, a group of staff and I visited an “under construction” church plant named “El Alfarero” (The Potter) on the far outskirts of Santa Cruz in Bolivia. Pulling up, it was beautiful to see church leaders and tutors already helping children in a nearby shaded area. Across the lot, church members and parents worked diligently on the church building. 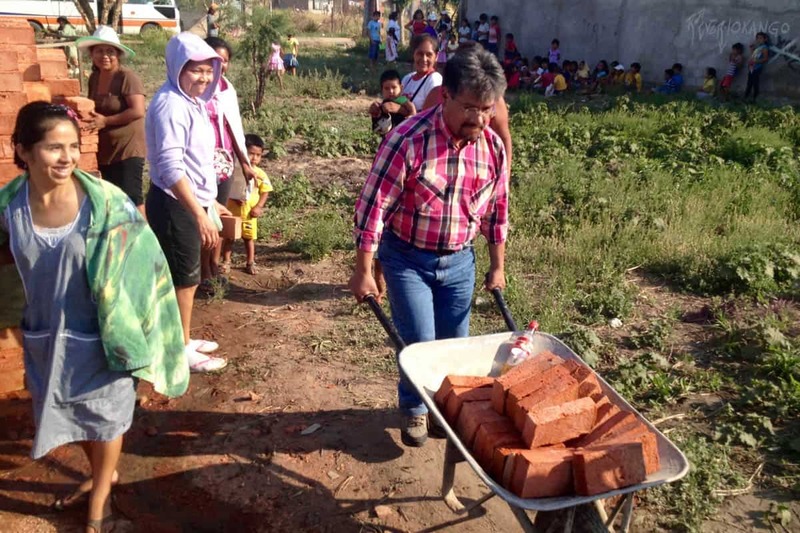 Mario Vasquez, Compassion Bolivia’s Country Director, chipping in and helping with construction at the Satelite Church Plant. Since completion, El Alfarero Church has served over 400 babies and children, shared the gospel with families, and even conducted weddings for parents in the neighborhood. 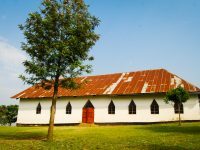 This approach has also helped many rural villages where a mother church wanted to reach further into the next community. 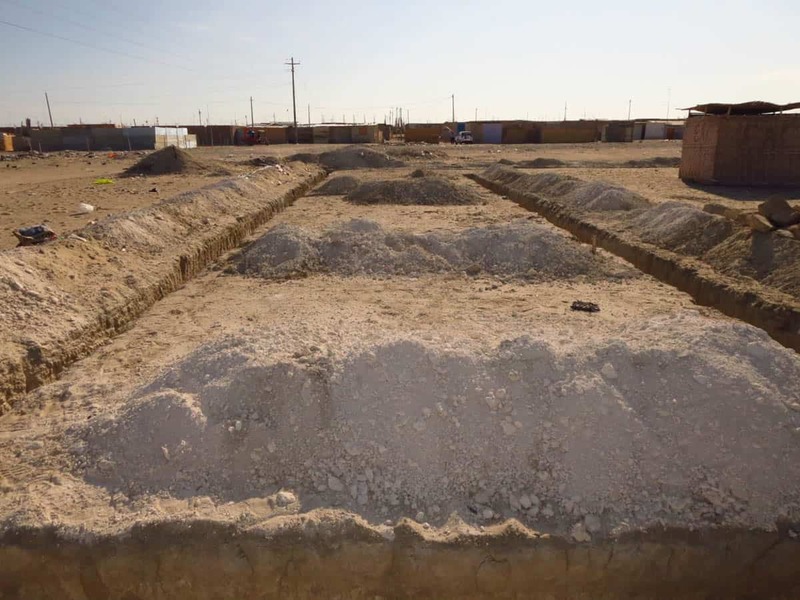 In many of these cases, the new plant is the only Christ-centered church in the area. We have seen a recurring trend when these churches share their plans with the neighborhood or community leadership. At first, many people are skeptical if the church will finish the construction and truly be of help. Over time, we have heard multiple accounts that the church finishing the planned construction built credibility amongst local families and further opened their hearts for the church to help their children. Children at “El Alfarero” church plant on the outskirts of Santa Cruz, Bolivia. We are not in this “for the building” and neither are our church partners. We know that the pastoral team, local child development workers, caregivers, and sponsors are the key players in shaping a child’s life. Still, it has been remarkable to see how the example of a well-constructed building can bring credibility to a church, new vision for a neighborhood, and a positive environment to care for children and families. A team and I started preaching in this area in 2011, visiting every house in the place. There was a lot of poverty and single mothers who in turn abandoned their children to go to work in the city. It was heartbreaking! Because of this new church building, we are sending a very clear signal to all the people in the neighborhood that we care for them. They in return let us take care of their children, providing them a safe place to learn about Jesus. Now the church is a big building in the neighborhood. It can be seen from far and people enjoy attending because it is comfortable and nice…Every Sunday we receive new people in the church. This church plant in northern Peru (near Chiclayo) was established in an extremely desolate area. Through the leadership of Senior Pastor Jose Sernaque, this Nazarene church is a shining example of hope in this remote community. As a pastor, I have been very present in all the construction details. I also pray and minister to people who are working at the building site. I had an interesting experience where two construction helpers shared about their lives openly and asked for prayers. 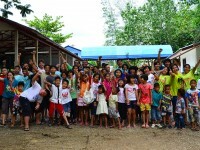 When I shared more with them about the purpose of the construction, they asked us to visit their families. Four of their children have already been enrolled in the program we have with Compassion! For the brothers of the church, it has been impressive each week to see the construction progress. They dream to see that space full of little ones with a possibility of a new story for their lives. The community has increasingly approached us out of curiosity. They have heard what is happening and want to know more about what is being done. Because of the construction, I have been able to connect with many people who have asked for prayers and shared their problems. This shows that the community has seen and has entrusted us to come closer. Imagine how many families will be blessed when everything is finished! 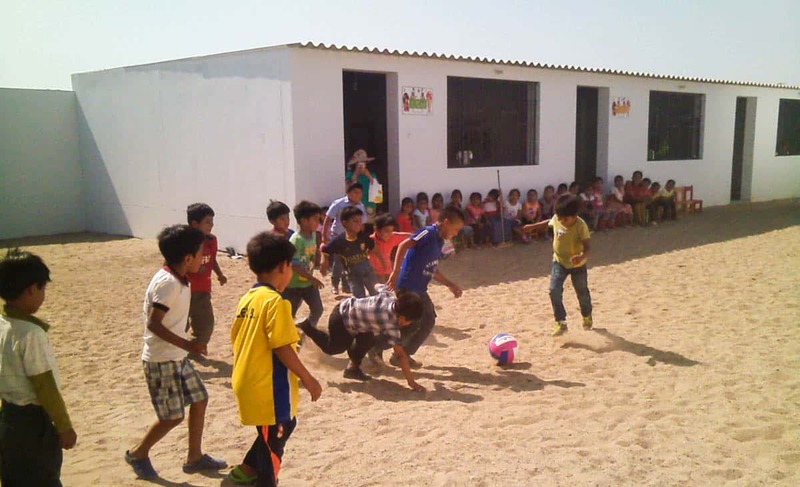 Children playing at the church and center in the Angolo community in northern Peru. Thus far, over 20,000 children are known, loved, and protected by these new church communities. This has all been possible due to the combined efforts of various church planting organizations, over 40 North and South American denominations, numerous individual churches, and people who value the importance of a church in a community and child discipleship. With these partnerships, the results produce more than typical math. We are seeing that one times two equals MORE than two. This type of common vision and partnership makes me think of Paul the Apostle’s statement in 1 Corinthians 3:9-10 (GNT). A child tutor and children praying at a newly established church plant and CDC (BR545) in Ceara state Brazil. Overall, this approach is newer for us. We are not in the “full-time business” of church planting. We focus on holistic child development and partnership with sponsors, donors, and churches and will continue seeking and adding new partnerships in traditional ways. But, in cases when and where it makes sense for us to bridge a connection, we will facilitate church planting that furthers the organic vision and existing goals of child-focused church partners. We plan to pursue even more church planting partnerships across Latin America—and likely more opportunities in parts of Asia and Africa in 2018. We see this as much more than math. We see powerful multiplications of the church’s work to help release children from poverty in Jesus’ name. Interested to know more? Want to get involved in bringing life-changing hope to children through church planting? Email our church team today or call us at 866-607-5162. Jordan helps connect church partnerships as Compassion's Global Program Church Engagement Director. He loves seeing churches bring life-changing hope to children. Prev Post:How Do You Make Christmas More?Next Post:What Does the Bible Say About Giving? please help us plant some churches. Jacob, please email us at socialmedia@compassion.com for more information about partnership. Thank you and God bless!